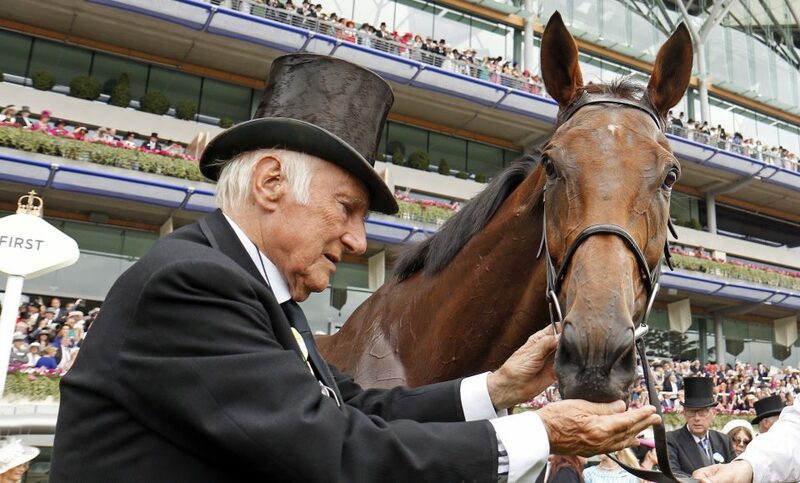 Connections of Big Orange were united in their admiration for the gelding after he had pulled out all the stops under James Doyle to win a pulsating renewal of the Gold Cup at Royal Ascot. The Michael Bell-trained six-year-old, well-known for his front-running style, made virtually every inch of the running in the 2m4f showpiece under James Doyle. Order Of St George, 5-6 favourite to repeat his win of the previous year, came late on the scene under Ryan Moore and the two horses engaged in a thrilling finish, with Big Orange edging home by a short head. It was his third success in a QIPCO British Champions Series contest, having previously won two Goodwood Cups. “He’s just an absolute superstar,” Bell said. “He gives his all and he’s got a heart as big as himself. I can’t praise his attitude enough; he wants to race and he’s a colossal racehorse. On fast ground in the middle of the summer, he’s a monster. In the absence of injured Frankie Dettori, the well-backed 5/1 shot was ridden by Doyle. “Frankie just told me not to interfere with Big Orange,” the elated jockey said. “He knows what speed he wants to go at and you just sit as a passenger. I had Frankie’s voice in my head, so just eased him, let him go to the front and the rest was history. “Big Orange got a little bit lonely and I wished that something had just joined him a bit sooner and he would have won a bit more impressively. It is a long time to be in front when you make the running like that and he had plenty of time to get lonely, so I couldn’t knock him for that. Winning owner Bill Gredley said: “All credit must go to Michael Bell. He has done a fantastic job on him. His head lad Tyrone has looked after him and Michael’s staff deserve a lot of credit. They are really good guys who have done a lot of work on him. “We are here to take the applause but there are people behind-the-scenes who deserve to take the applause. In every great horse race there has to be a loser, and on this occasion it was Order Of St George, who found plenty under a strong Ryan Moore ride but came up agonisingly short. Laura Mongan’s burgeoning career was furthered enhanced by her stable star Harbour Law’s third place. The 33/1 chance, who took the Ladbrokes St Leger last year, ran superbly to be six lengths behind the front pair. An elated Mongan said: “I threw my hat off! He ran a cracking race. We knew he was entitled to be here. He didn’t have a great start to the year but has come here 100 per cent and he is a very nice horse – there is a lot more to come from him. He has done us proud.